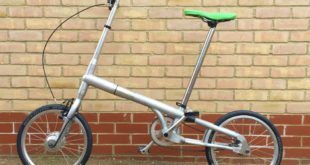 Folding bikes can bridge the gaps between public transport services in towns and cities,Tern will tell delegates at Velo-city next month. The folding bike firm and ‘urban transport specialist’ will make the speech at the Vienna-set conference, centring on how folding bicycles can extend the reach of existing transport infrastructure for little cost. Velo-city is the world’s largest international conference devoted to integrating cycling with public transportation policy. Tern will be speaking at Velo-city to transport policy makers on Friday June 14th in conjunction with the German ADFC Cycling Association and the Munich transport authority. Over 1,000 delegates from around the world are expected to attend the four-day event, which runs from June 11th to 14th in Vienna, Austria. Tern’s presentation was selected from a pool of 500 topics that were submitted for consideration for the conference. 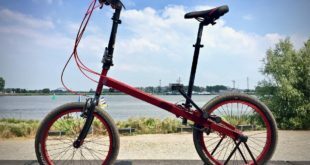 Like Brompton Dock in the UK, Tern works with the cities of Munich, Stuttgart, Hamburg, and Karlsruhe in Germany, as well as Italy’s national railway system, in offering folding bikes for use on public transport systems and is in discussions for starting similar programs in cities in Austria. Tern argues that a city with an existing transport infrastructure like Vienna would be able to benefit heavily from incorporating use of folding bikes. The brand will also have a booth at the conference.